Plan a weekend trip to Jaipur for the best travelling experience you will ever have. Every corner of it is painted with beauty. It has the most majestic forts and palaces you will ever set your eyes on. 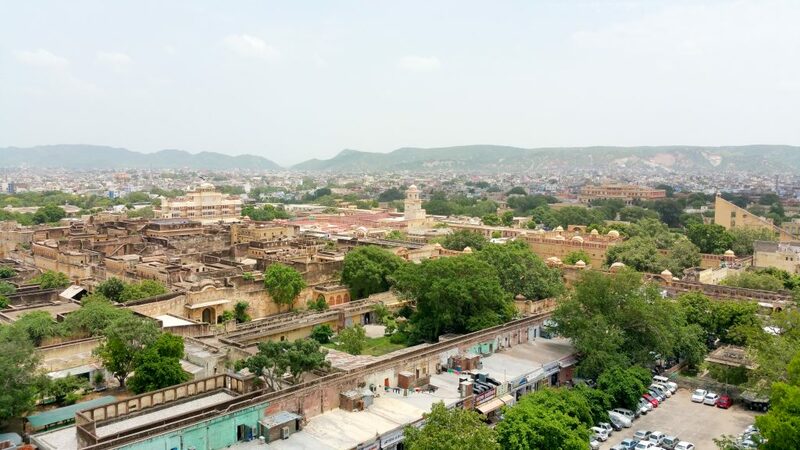 Jaipur, nestled in the beautiful hills of Aravalli Range has everything to offer and the beautiful lakes and rolling hills are just the cherry on top of it. It has too many awesome tourist destinations to be missed out. Pack your bags and head out to Jaipur right now, to witness it in its entire majesty. 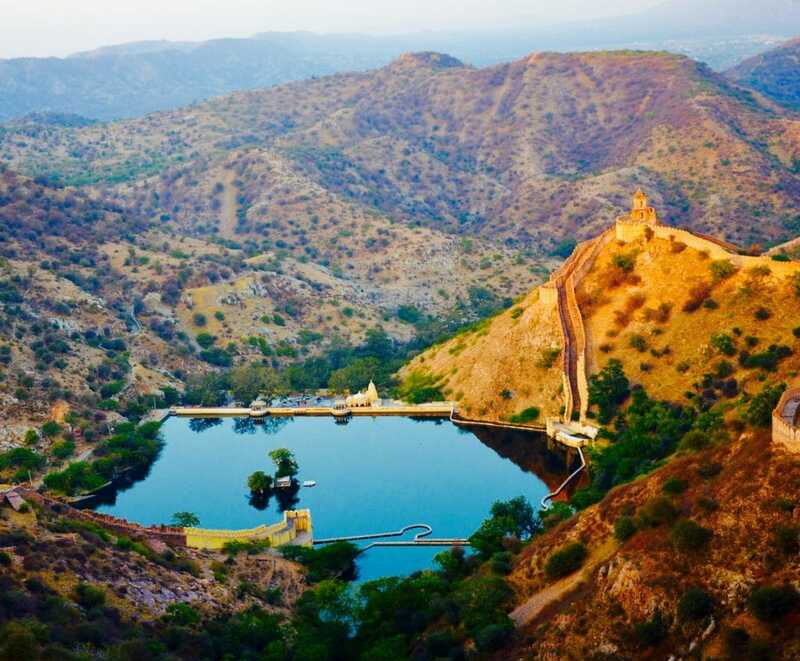 Located on the outskirts, this fort is 15 km from Jaipur. Travel Tip: We recommend that you head out early in the day and plan accordingly. Most of the monuments close off their entry by 5 pm, so you should ensure that you have plenty of time to spend in each place. This fort is also known as Amber Fort and has been declared a UNESCO World Heritage Site. The fort overlooks the Maota Lake, which has a beautiful island in the centre. There is no fee to visit this lake and we’d recommend you definitely go see the saffron garden that survives from the 15th century. Apart from a museum in the fort itself, there are four courtyards with several gates with intricately woven architectural designs. It is situated 10 km from Jaipur city. Placed right on top of the Hill of Eagles, it has a scenic view that cannot be missed. 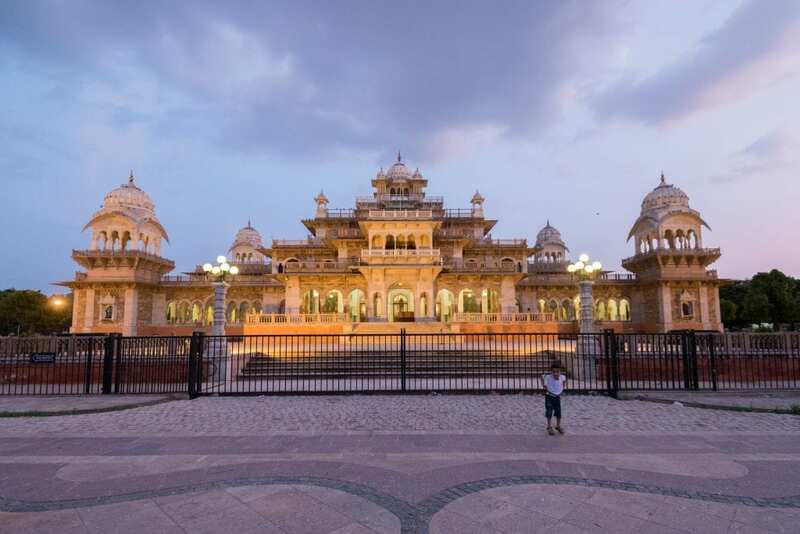 The palace complex includes Laxmi Vilas, Lalit Mandir, Vilas Mandir and Aram Mandir, an armoury and a museum. A short walk from the fort is the Jaivana Cannon, a huge metallic marvel which is still well preserved after centuries and is best viewed during a receding sunset. 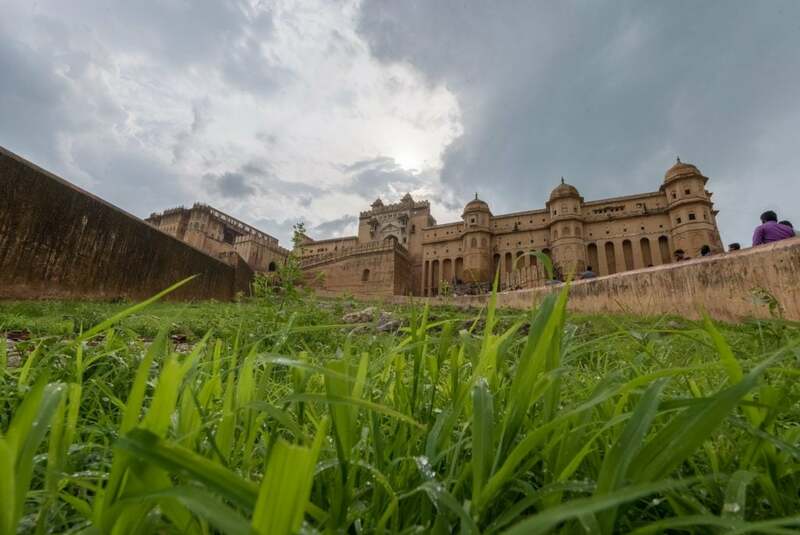 Jaigarh Fort and Amber Fort are connected by subterranean passages and are considered as one complex, so if you visit one you must visit the other. This palace is named ‘the abode of tigers’ and true to its name, it overlooks the Pink City, forming a defensive ring of protection around it. 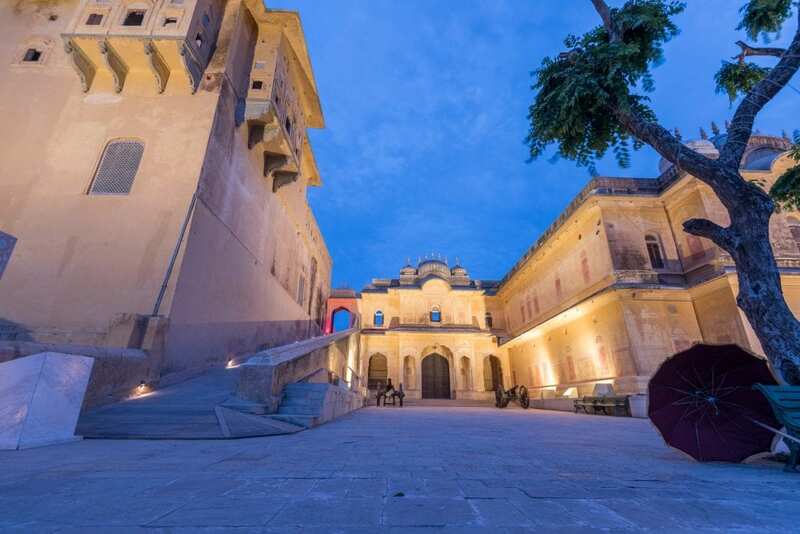 Bollywood loves Nahargarh and if you love Bollywood then you should definitely see the places where some scenes from “Rang De Basanti” and “Shuddh Desi Romance” were shot. The way it overlooks the rest of Jaipur makes this for one of Jaipur’s most scenic places. Travel Tip: Padao is an open-air restaurant in Nahargarh, with an entry fee of merely 200 rupees per person. Enjoy a beautiful late night dinner here. Travel Tip: Isarlat Minaret is a hidden gem from where this fantastic view can be seen. Make the climb to the top to witness Jaipur in its complete beauty. It is a palace complex in Jaipur, which includes Chandra Mahal, Mubarak Mahal and many other palaces. Start your day with a visit to this palace, because the best shopping joints are nearby. It is also the heart of the Pink City. 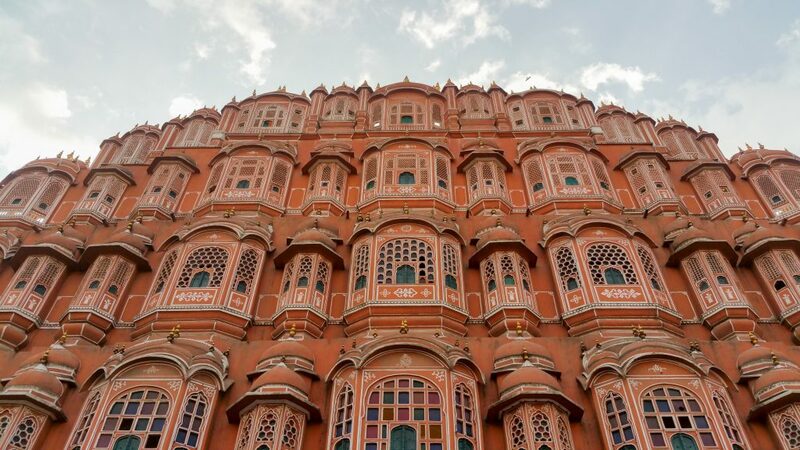 The Hawa Mahal is a short walk from the City Palace so you need not worry about commuting. Made of red and pink sandstone, it is one of the reasons why Jaipur is called The Pink City. The building has 953 windows with intricate patterns that can be viewed closely through the entry in the back. Built in 1734, it has nineteen architectural astronomical devices. And these devices are fully functional even to this day. Its awesome structures are evidence of the technological advancement of the period, and also the religious harmony that existed then. 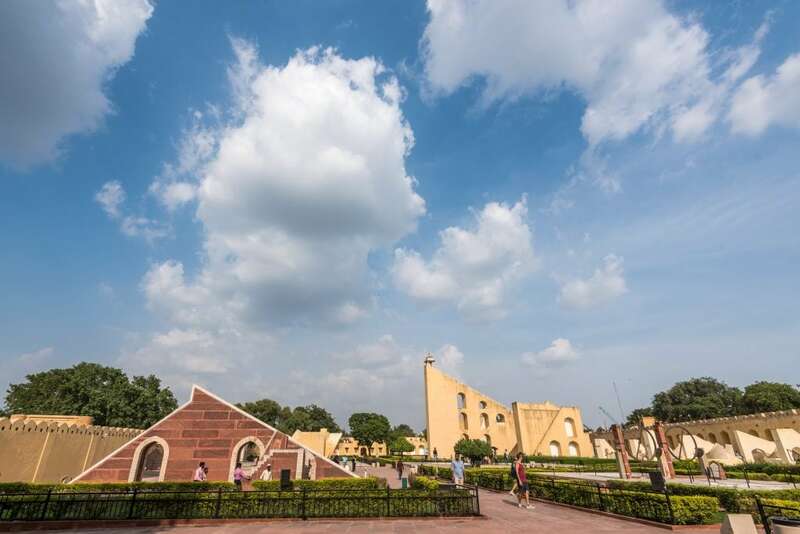 It features the world’s largest sundial, so no wonder it is a UNESCO world heritage site. 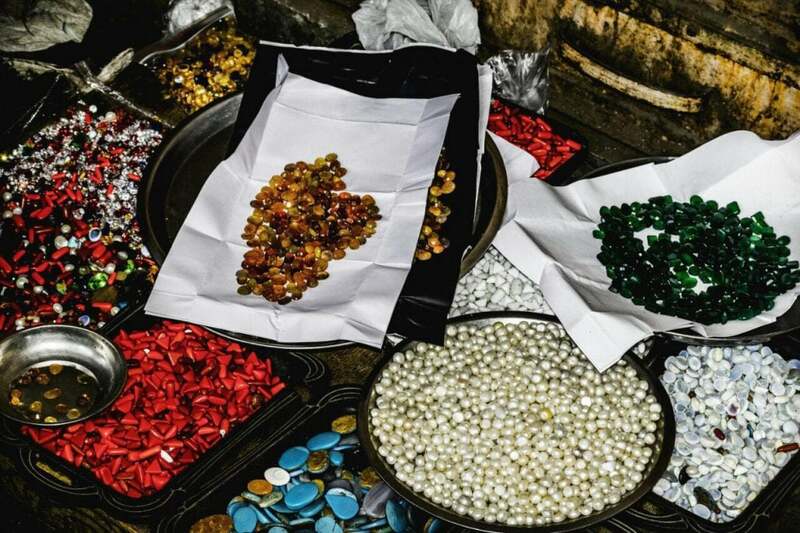 Johri Bazaar is famous for its jewellery made of gold, diamond and silver, precious stones and semi-precious stones and pearls. Kundan and Minakari jewellery, two unique kinds of jewellery can also be found here. You will also find the most exquisite sarees in this market. 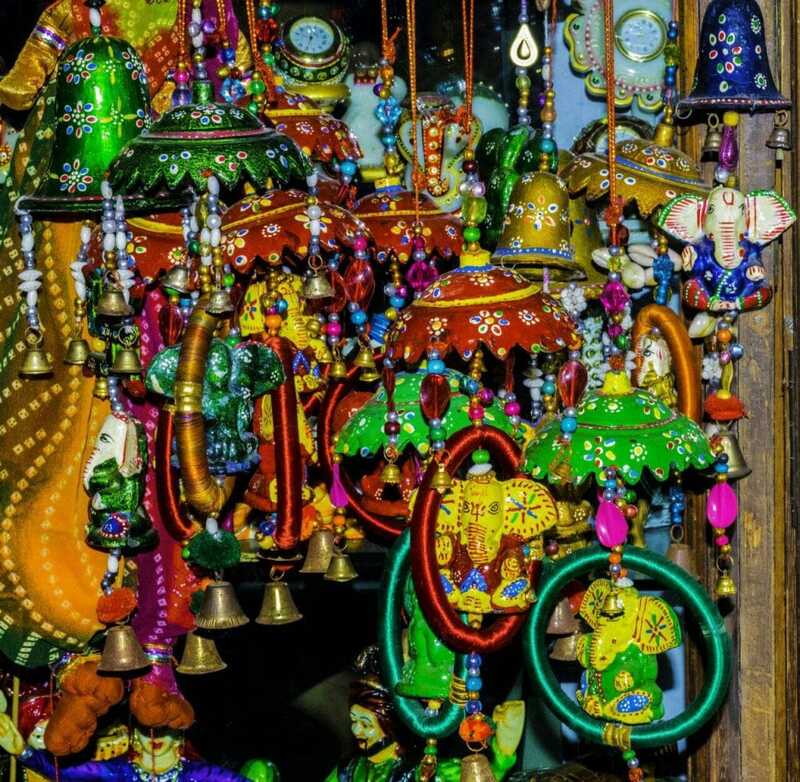 Tripolia Bazaar is a 20 min walk from Johri Bazar and is a shopper’s paradise. It has many shops that sell Rajasthan’s famous lac bangles. Traditional brass wares and hand designed carpets are the specialities of this market. It is closed on Sundays. Nehru Bazaar is one of the traditionally built markets of Jaipur, where one can purchase clothes, footwear, gifts and household items. There are many shops that showcase authentic crafts. The main attraction is the traditional jooti, which come in multi-coloured designs. Bapu Bazaar is surrounded by pink rustic buildings on both sides, showcasing the true essence of Jaipur. This market draws thousands of tourists every day because of the variety of goods it offers. Don’t forget to shop for textiles and jootis while you are here. Apart from these forts, palaces and museums, there are many more places to visit including The Pink City, Lake Jal Mahal, Albert Hall, and so many more places.